Sitting in a pub, drinking beer, listening to one of my favorite songs by my favorite musician Glen Hansard ("Revelate," which more accurately is by The Frames), about to watch an Irish play - this pretty much describes my ideal Tuesday night. 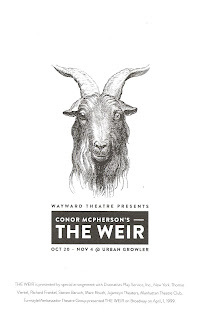 I love Irish culture, I love beer, and I love site-specific theater. 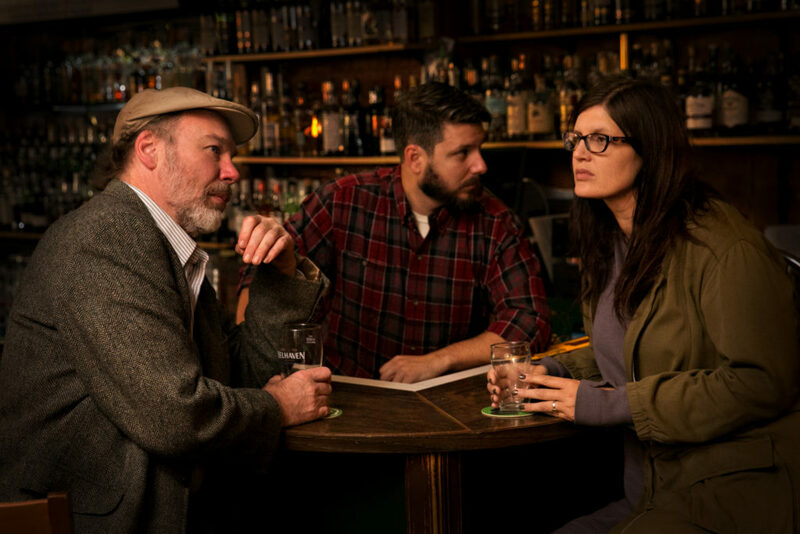 Irish playwright Conor McPherson's play The Weir is pretty much just five people sitting in a pub trading stories, and the cozy space at Urban Growler Brewing (the first woman-owned microbrewery in Minnesota!) was chosen wisely by Wayward Theatre (which has also brought us Tartuffe at the James J. Hill House and Ghost Train at the Minnesota Transportation Museum). Head to Urban Growler (off 280 and University in St. Paul), grab a beverage from the tap room (or even a pre-show dinner, from the smell of it they have great food too), head back to the pub/theater space, and settle in for some good craic. I'd never been to Urban Growler before so I'm not sure what the space in the back usually is, but it couldn't be more perfect for this play. Risers with a few rows of seating face a cozy pub, complete with fireplace, photos on the walls, bar, and a working tap with only Guinness and Harp (because what else do you need?). It's hard to say what's always in that space, and what was added for the show, because it all looks like it belongs there, and it looks so authentically Irish I'm itching to plan my second trip there (set design by Justin Hooper). The play takes place on a typical night in a pub in the country, with pub owner/bartender Brendan (Tim McVean) and regulars Jack (Arthur Moss) and Jim (Lucas Gerstner) chatting about their days. The big news is that a woman named Valerie (Sarah Nargang) has come down from Dublin and rented a house from Finbar (Edwin Strout), the local hotelier who owns half the town. 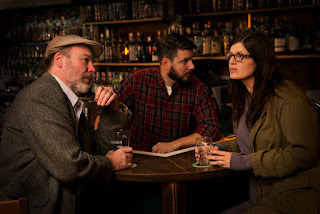 The boys are suspicious of married Finbar's motives in giving Valerie a tour of the area, but when they show up at the pub, he insists he's just being welcoming. The boys have a few pints (the Guinness tap is tragically on the fritz, so choices are Harp on tap or Guinness bottles) and a few small ones (Jameson of course, and they don't look that small), while Valerie asks for white wine (tip: if you're at a pub in rural Ireland, don't ask for Harp, and don't ask for white wine; ask for a pint and you'll get a Guinness and all will be right with the world). After several rounds, the talk turns to fairy and ghost stories, and the jovial mood turns somber as the friends (and the audience) ponder what lies beyond. 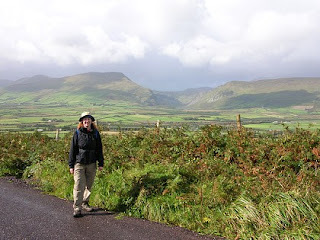 Valerie's ghost story, which is related to why she left Dublin, is the saddest of all. The play, and this production, capture that uniquely Irish tone of joy and pain, of ancient and new, of the very stuff of life, so bittersweet and grand. Just grand. The five-person cast, under the direction of Michael Kelley, is wonderfully natural and conversational (my favorite is Arthur Moss' Jack, such a sweet and slightly cantankerous man). All have varying Irish accents that are just a delight to listen to, and close enough to accurate. Watching this play is about as close to sitting in a pub in Ireland listening to the locals tell stories as you can get, without actually being there. 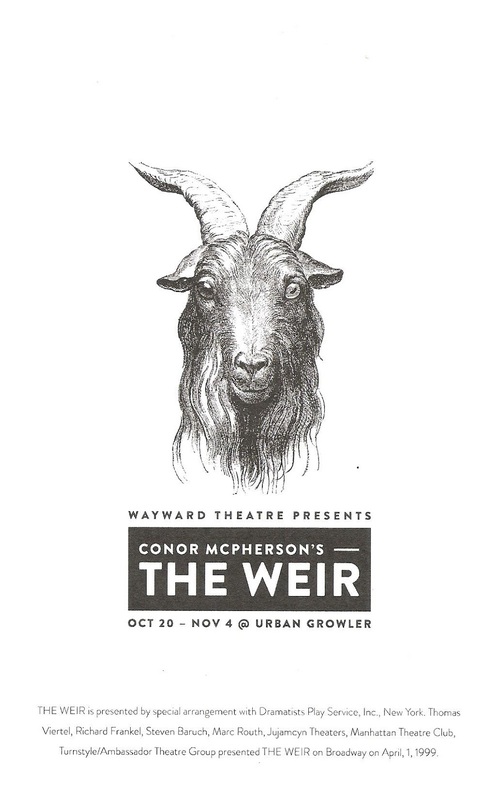 The Weir continues Thursdays through Saturdays until November 4, as well as a pay-what-you-can night on Halloween - such a great way to celebrate the ghostly holiday!